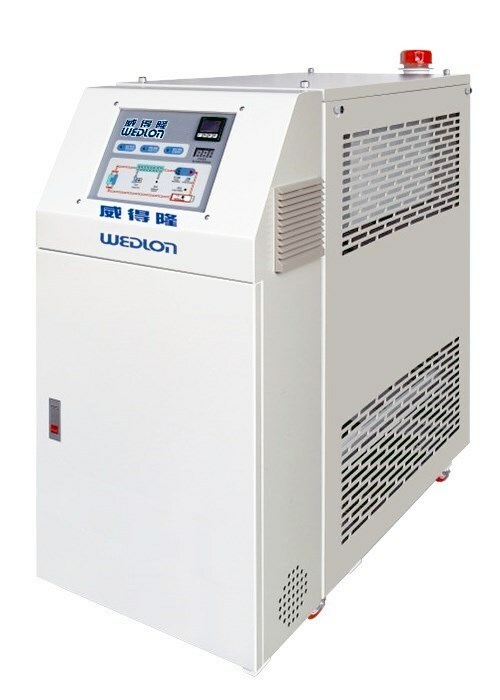 Oil Circulation Mold Temperature Controller for Wedlon Automation Co., Ltd.
Oil Circulation Mold Temperature Controller is major for controlling the temperature of the mold and the roller in the plastic machine. Adopt microcomputer touching type system, which can be power on and off automatically. 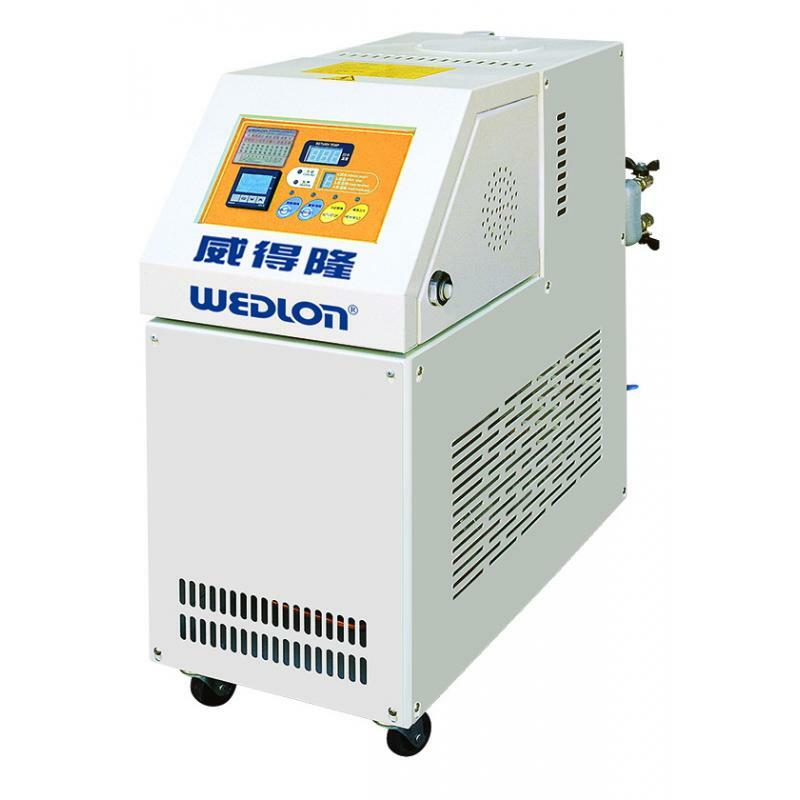 It’s operated easily maintenance easily. 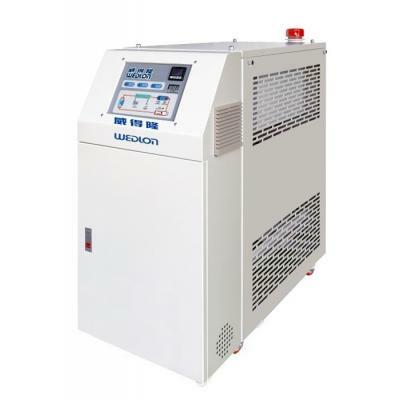 The temperature control adopted microcomputer touching type, there is stored automatic calculation inside, precise and reliable, it can control within±1°C and save electricity over 35%. 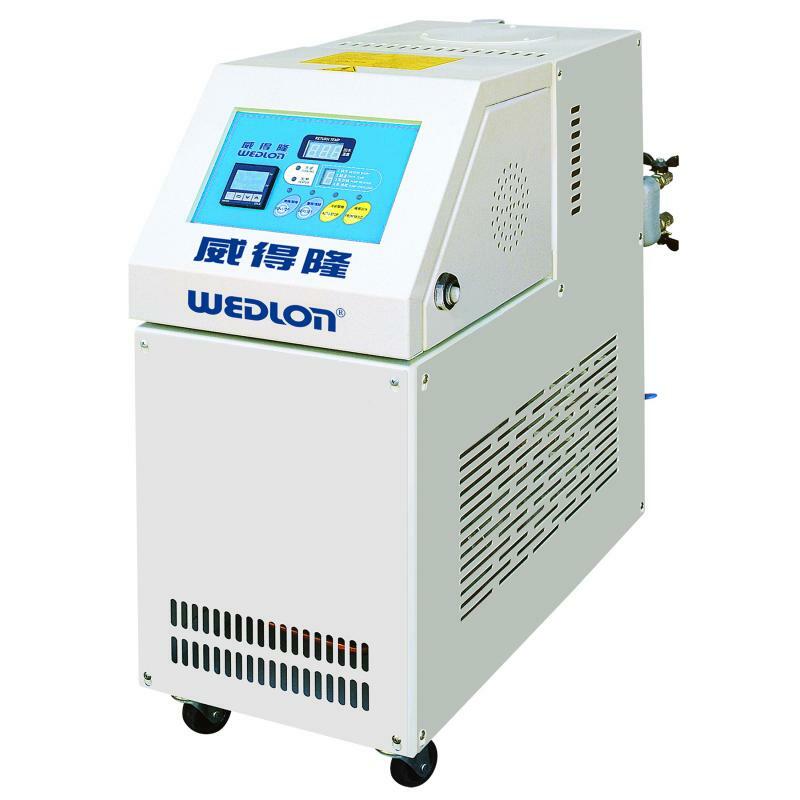 Adopt special design, which have fast heating, stable temperature and prevent deterioration of hot heat transfer oil. Adopt import parts and long life span. Safety protection and fault indication system. Stainless steel pipe is integrally formed and small loss for the tube. All series adopting Germany brand SPECK pump. Primary power overcurrent no-fuse circuit breaker. Motor reverse protection and indicator. Oil shortage protection and indicator light. Circulation pump overload pump and indicator. Overheat protection and indicator light. Heat preservation and heat protection. Power off after automatic cooling.